Fresh off his million-dollar win, Survivor champ Adam Klein joins us to revisit Millennials vs. Gen X and discuss all the critical decisions along his incredible path to victory. What really went on during the early days at Millennial beach and how did he turn things around after a rocky start? Did casting so many superfans change the dynamic within the game and how might it impact the show going forward? What's the best way to handle Jeff Probst? And how does he feel about getting such an unconventional #WinnerEdit? All that and more below, here, or on iTunes here. 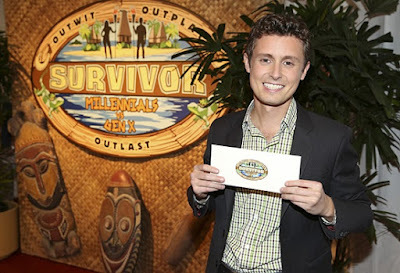 The cross-alliance alliance thing with Brett happened in Survivor Maryland G&G!